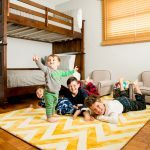 Home LIFESTYLE Is Your Diaper Bag Poisoning Your Child? 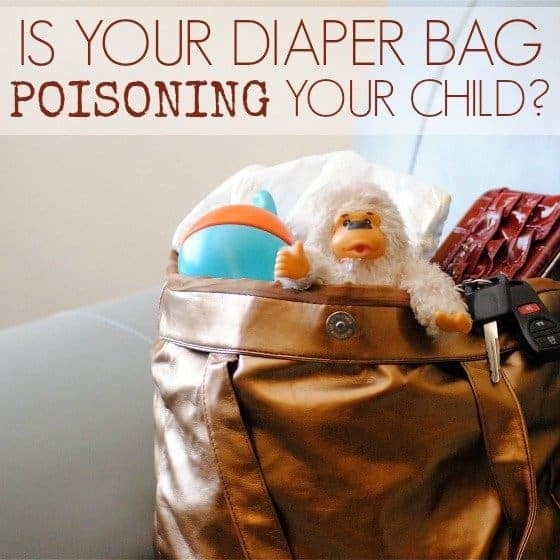 Is Your Diaper Bag Poisoning Your Child? Diaper bags have come a long way in terms of fashion and functionality. 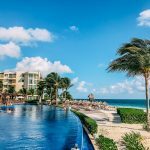 Today, there are literally hundreds of companies marketing chic, stylish diaper bags in all shapes and sizes to suit the needs and style of every type of person. When searching for the perfect diaper bag, you might become completely overwhelmed with your options. Should you chose the carryall, the tote or the backpack? 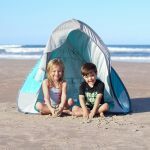 Should it have a waterproof coating or be machine washable? Will you need 6 exterior pockets or just 3? While all of these questions might seem important, the biggest question you should be asking yourself is: Is this diaper bag non-toxic? I know what you're thinking: why would a diaper bag be toxic?? What does that even mean? Well, unless you are making your own diaper bag out of organic cotton and thread, there is a chance that it may contain any number of toxic chemicals and materials. Lead is probably one of the most concerning of all materials used in children's products. 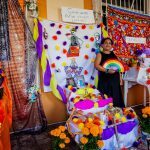 Lead exposure can cause irreversible brain damage and developmental problems, among many other mental and physical issues in developing fetuses and young children. 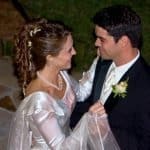 In cases of significant and long term exposure, it can even cause death. While the US safety standard for lead prohibits no more that 600 ppm of lead in any product intended for children 12 years of age or younger, many products have been tested over the years and found to have much higher amounts. It is important to note that there is a difference between products that display a "lead safe" label vs those that display a "lead free" label. "Lead safe" means that the product does contain lead, but claims to abide by the US safety standard limits. "Lead free" means it does not contain any lead. Many companies are also trying to design their diaper bags to look more like women's fashion totes and purses these days. Some women are even finding it convenient and stylish to use a fashion bag instead of a diaper bag. There are dangers in this as well. While many diaper bag companies do use toxins in the making of their bags, they are much more likely to be more conscious of their material choices today (as more parents are opting for greener baby products) than companies that make fashion bags. 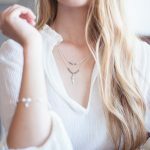 Last year, the Center for Environmental Health conducted a study evaluating numerous purses, handbags and wallets of various brands and companies. They found many that exceeded the US lead regulation limits. Some of the most significant amounts were found in products by high end brands and retailers. These were all companies that claimed to meet the US lead standards. So, by using your favorite stylish handbag as your diaper bag, you could be exposing your baby to high levels of lead. 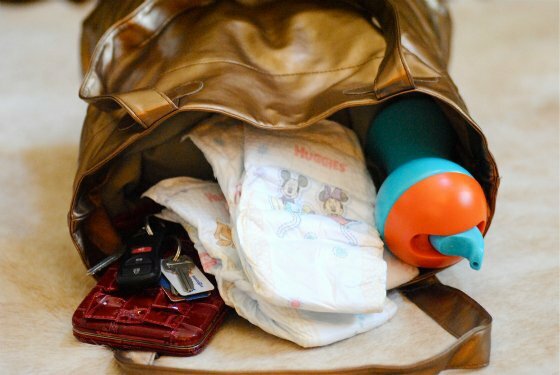 It should be noted also, that placing items such as wallets and keys (which can contain lead) in your diaper bag, could also contaminate the items around them. Be sure to include your name and contact information as well as return packaging and postage. CEH requests that you send no more than 10 items to be tested. Now, you're thinking "How am I ever going to choose a diaper bag with all of these considerations?" Fear not. 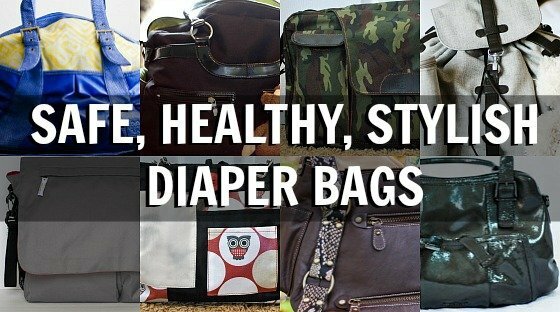 We have done the research for you and compiled a list of the top non-toxic diapers bags; and we featured each one here on Daily Mom for you. If you are looking for a gorgeous diaper bag that is sure to make a statement (and is also non-toxic), look no further than amykathryn. Her stylish bags and quality materials are sure to have you coming back for more, season after season. 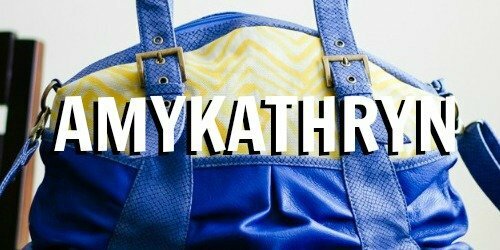 Do you love this style of amykathryn bag? If you're more of the laid back type, Lassig bags will appeal to you with their eco-conscious fabrics and cute designs. This Green Label Backpack is perfect for the momma on the go who is tired of carrying a heavy diaper bag on her shoulders, but still wants the structure of a purse. High quality accessories and workmanship will ensure that it is the bag to be worn for years, even after your little one no longer needs diapers. 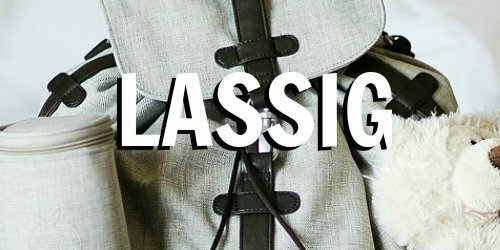 A wide range of different diaper bag styles, colors and designs by Lassig is sure to sway any messenger or backpack lover. And just think about how cool you will look with a cute backpack on your shoulders! Is this Lassig Green Label Bag perfect the perfect accessory for your casual style? Have you been searching endlessly for a diaper bag that your husband won't be embarrassed to carry around? 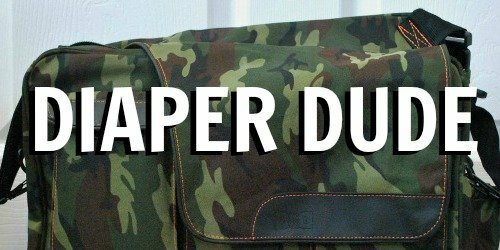 Diaper Dude has an innovative line of dad-friendly diaper bags to suit the style of every manly-man out there and the needs of every baby. With multiple interior and exterior pockets, a removable changing pad, a bottle cooler pocket and a packing checklist, this bag is sure to be the talk of all the dads at the baseball game! Does this Diaper Dude Messenger 11 bag seem perfect for your guy? A diaper bag need not look like a diaper bag! 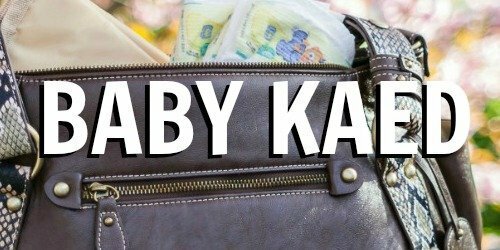 If you're looking for something both functional and stylish, check out Baby Kaed diaper bags. The bags are roomy with multiple pockets and compartments to keep you organized. The line features many styles in beautiful faux leathers with something to complement every mom's personal style. Want a stylish Baby Kaed Bag like this? 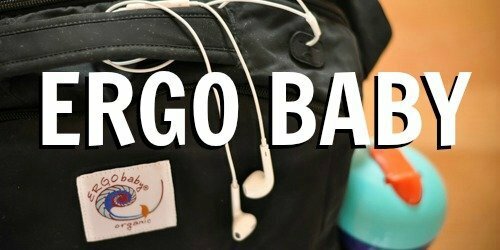 You will be obsessed with the Ergo Organic Travel Pack by Ergo Baby for 3 reasons: it's baby-wearing-friendly, dad-friendly and clutter-friendly. This versatile diaper bag/backpack can be worn 3 different ways, including WITH your baby carrier, which is exciting in and of itself. Dads will love the gender-neutral appeal of this bag, and Type A personalities will love how easy it is to keep everything organized inside the bag. 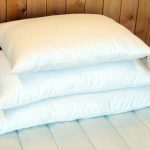 As if that was not enough, it's made from super soft, durable, organic fabric. Is the Ergo Organic Travel Pack exactly what you've been looking for? If you have a vintage style but still need a fully functional diaper bag, look no further than the 2 Red Hens Studio Rooster diaper bag. Designed with a variety of vintage-chic inspired patterns, the Rooster diaper bag is the perfect spacious, convenient diaper bag to grab on the go! This tote features both external and internal pockets, including a drawstring sippy cup slot; and you can get matching accessories for each pattern! 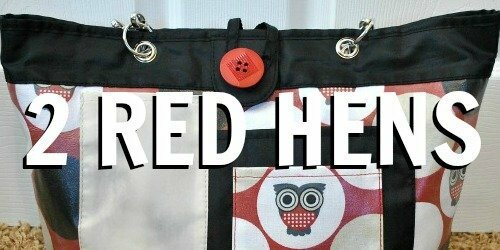 Do you love the vintage look of this 2 Red Hens Studio Rooster Diaper Bag? The hunt for the perfect diaper bag is a hard one. Every woman wants something extremely functional, but still incredibly attractive. A bag that doesn't scream out "Hey! I've got some spit-up covered clothes and nursing pads in here. Cute, huh?" A bag that could pass as a purse, if you weren't toting around a precious baby with you. 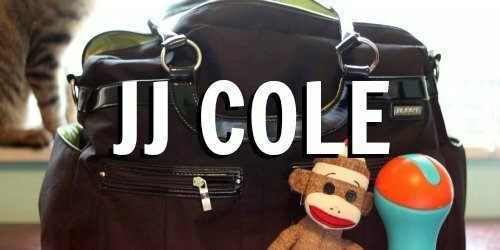 That diaper bag is hard to find, but we have found it in the perfectly understated, JJ Cole Satchel Bag. Do you love the classic look of this JJ Cole Satchel Bag? Leave it to Amy Michelle diaper bags to be fashionable, easy to use, practical AND daddy friendly. Solving all your diaper bag needs. Best of all, each bag from the line is made to grow with baby and beyond. 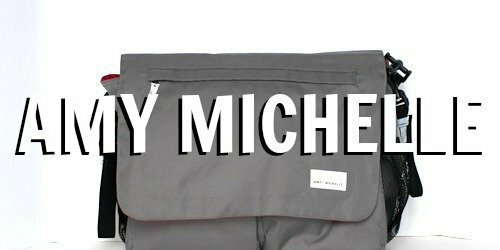 Is this Amy Michelle bag the perfect messenger diaper bag for you? With a Sugarjack diaper bag on your arm it is easy to forget that you aren't a celebrity. The bags are so luxurious and functional that you will feel an instant confidence boost. 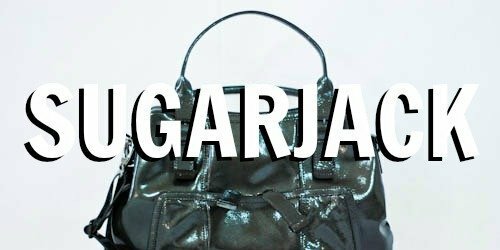 Sugarjack bags are designer leather bags; and the quality of the leather is obvious from the moment you put your hands on it. Their bags come in so many styles and colors that you just can't help but want every single one of them! Can't live without this Sugarjack Ava Bag? 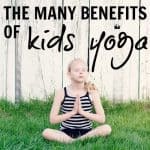 Want to learn more about creating a non toxic lifestyle for your little ones? Check out our GREEN BABY section! 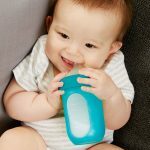 www.healthybuilding.net -"Bad News For Babies: Research Links PVC Plasticizer To Genital Deformities"
www.cpsc.gov - "Section 1o1. 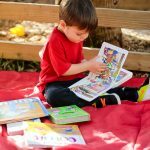 Children's Products Containing Lead; Lead Paint Rule"
www.aacap.org - "Lead Exposure In Children Affects Brain And Behavior"